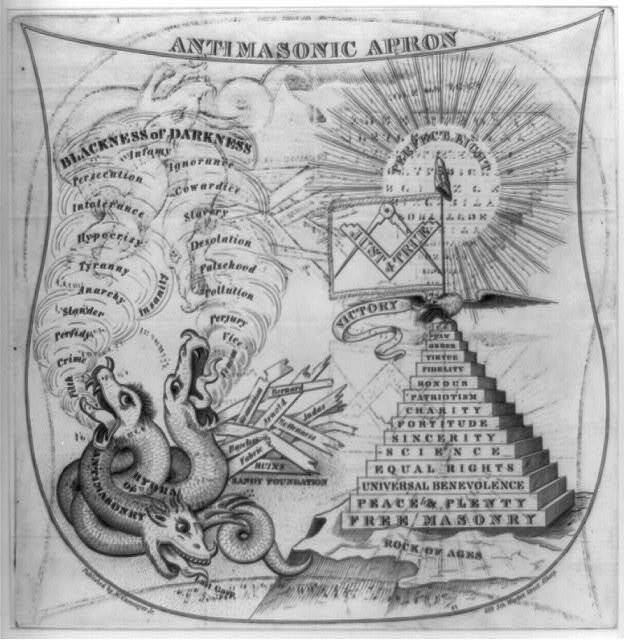 Masonic hate groups have been around for as long as Freemasonry has exisited, and, with the help of the internet, they are more vocal than ever. I have no doubt that if you are open about your affiliation with Masonry, at some point, you will come into contact with someone filled with nothing but hatred for the organization. Almost weekly it seems that I receive emails asking me how I can stand to be involved with such a sinister group. I try to do what I can, but not everyone wants to listen to the truth. So what should be done when you encounter a person like this? Soon after the organization of UGLE, I will admit, some things got out of hand. It was not uncommon for the majority of government officials in a city to all be Masons, often blindly voting someone into office just because they were a brother. I’m not saying it was everywhere, but there were definitely people out there abusing the system and using their position of being a brother to help secure them, or their friends, into a position of power. As you can imagine, the general public was not so gung ho about this idea. In 1828, after the Morgan affair occurred, a group of people got together and formed the Anti-Masonic party. This was kind of a big deal, because this was the first third party in America. They were a single platform party, and that platform was, you guessed it, being against Freemasonry. Although they never really accomplished much as a party, aside from having a presidential candidate, they did leave a legacy behind. They were the first to use a lot of innovative techniques that are still being used today in the political world, such as nominating conventions and party newspapers. It also assisted with, and merged into the Whig party, which elected four U.S. presidents, which in turn, merged into the Republican party. So basically, a bunch of people hating Freemasonry is why we now have the Republican party today. Please don’t take anything in this video seriously. This guy obviously has no idea what he’s talking about. And, it continues. Not as openly as it once was, but to be fair, Masonry is not as out in the public eye as it once was either. Both sides of the argument tend to have a fairly strong online presence, which can be both a blessing, and a curse. While searching online simply for “Freemasonry” will not usually show you those opposed to Masonry, many other searches will, most notably “freemason secrets”. Many people out there believe that Freemasonry is a secret society. This is not true at all. If Freemasonry was a secret society, you would barely know of their existence. They wouldn’t have pancake dinners, or own hospitals, they would do their best not to be known at all. A better example of a secret society would be something more along the lines of Skull and Bones (moreso before the movie). Instead, Freemasonry is a society with secrets. Freemasonry has a few secrets, and I will tell you them right now. Their secrets are their handshakes, ways to recognize each other, and some parts of the ritual work. They are not very well kept secrets however, and if you really really wanted to, you could find all of these secrets online. Most of the anti-Masonry groups don’t like the idea that Freemasonry has secrets. There are many people who feel they are being lied to, or that there are more secrets than actually exist. Sadly, these groups often include the wives of Freemasons, who feel that they are being lied to by their spouses. If you ever find yourself on either side of this issue, I highly recommend that you look into counseling. Communication is a major component of a relationship, and it can be difficult when one is involved in a group like Masonry. The non-Masonic partner may also find that becoming involved with the Lodge, and other affiliated organizations helps ease the issue. A lot of people say a lot of crazy things about Freemasonry. That we worship the devil. That we’re a corrupt society that wants to control the government. That we are the Illuminati. The most important thing you can do when you come across things like this is educate yourself. Don’t just know that that’s incorrect, but know why its incorrect. Learn what you can. Check out last week’s post on Masonic education for some resources. And of course, if you aren’t sure, ask. Also, if you want to hear some crazy theories about Freemasonry, check out YouTube, especially our good friend Creflo Dollar. So, you’re hanging out with your friends, and you casually mention you’re going to the Lodge for dinner tonight. At some point in your life, someone will say, “Oh, is that for the Freemason stuff? Don’t they like, slaughter goats or something?” At this point, you have a few options, but only a few are positive ones. You could tell them no, laugh it off, and that’s the end of that. A better option, if possible, is to take this time to educate them on the subject. You don’t need to go into great depth unless they are genuinely interested, simply saying something like, “Not quite, most of our evenings are spent paying bills and donating money.” If they appear to want to know more, discuss what you can with them. Loan them your copy of “Is It True What They Say About Freemasonry?”. Help educate them. This will benefit themselves, yourself, and Freemasonry as a whole as well. Remember- that save for the cipher (if your jurisdiction uses it) and other ritual books, pretty much any Masonic book is available for anyone to read, regardless of whether or not they are a Mason. However, what if you’re hanging out on Facebook, and you see a post shared by a friend of a friend. It says something along the lines of, “It was proven from Masonic books that Masons worship both Lucifer and Satan. They serve both the “good” Lucifer and the “evil” Satan.” (Yes, this is taken from a real website; not sure which books they were looking at.) What do you do if you come across that, or someone says something like that to you? Nothing. No, you heard me correctly. Don’t do anything. 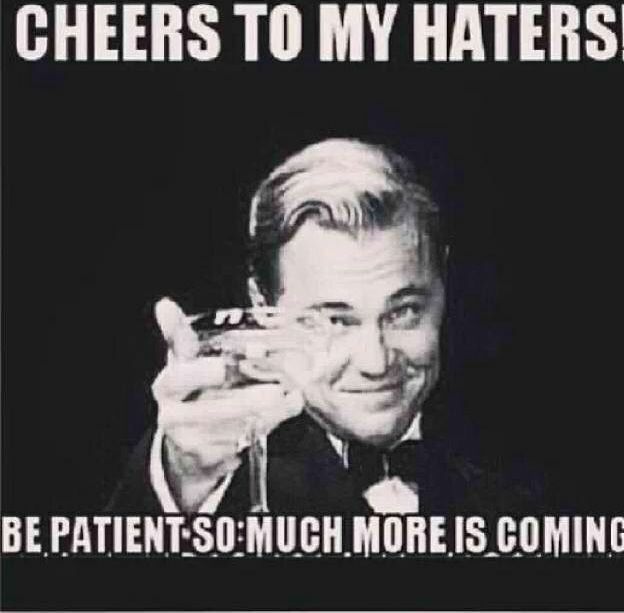 This is actually a lesson directly from Masonic ritual, and unfortunately often fuels the haters, because the Masons never speak up and deny anything. Your best bet is to just walk away. Hopefully you will never have to use any of these tactics, but odds are, it will happen to you eventually. Just do your best to remain calm; it can become a heated topic very quickly. Work on being able to recognize when someone wants to actually learn or have a discussion about Freemasonry, and when it is just better for both of you to just walk away from the situation. And please, please, if you find yourself in a situation where you are having troubles about Freemasonry between yourself and your spouse, seek help. Sometimes even just having a third party that can act as a mediator can make all the difference in the world.